“This new information leaves only the Southern Beaufort subpopulation (SB) in a ‘likely declining’ condition, but since that decline was due to thick spring ice conditions in 2004-2006 (Crockford 2017), it does not reflect a response to recent loss of summer sea ice. The new population estimates for Baffin Bay and Kane Basin also suggests that a revision needs to be made to the 2015 IUCN Red List assessment with respect to the global population estimate because polar bears are clearly more abundant in Baffin Bay and Kane Basin than previously thought. My purpose here is not to chastise or embarrass Steve Seldon. He’s a Churchill polar bear guide writing a blog for former or potential customers — he’s not specifically writing a science blog and doesn’t appear to have an academic background. He probably thought that summarizing or paraphrasing someone else’s work meant he didn’t have to say it wasn’t his own. However, the fourteen co-authors who wrote the paper called “Internet blogs, polar bears, and climate-change denial by proxy” (Harvey et al. 2017) should have known better. This example of plagiarism is yet more evidence of the lack of scientific rigor that went into the Harvey et al. Bioscience attack paper posing as a “science” article: because the method they chose for identifying and classifying what they considered to be “science-denying blogs” was only the presence or absence of links to PolarBearScience, they left themselves open to making egregious errors. Not only did failure to examine website content cause them to miss the plagiarism of PolarBearScience, it caused them to mis-identify several news outlets as “blogs”2 in their supplementary information (e.g. ScienceDaily, Breitbart, The Daily Caller/Daily Caller, listed twice), include several defunct blogs (e.g. 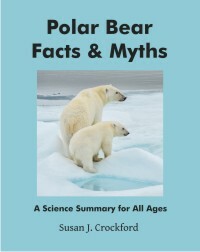 The View From Here, World Climate Report), and list at least one very dubious entry as pertaining to polar bears and/or sea ice, York Blog. “These three ways of incorporating other writers’ work into your own writing differ according to the closeness of your writing to the source writing. Quotations must be identical to the original, using a narrow segment of the source. They must match the source document word for word and must be attributed to the original author. Paraphrasing involves putting a passage from source material into your own words. A paraphrase must also be attributed to the original source. Paraphrased material is usually shorter than the original passage, taking a somewhat broader segment of the source and condensing it slightly. Harvey, J.A., van den Berg, D., Ellers, J., Kampen, R., Crowther, T.W., Roessingh, P., Verheggen, B., Nuijten, R. J. M., Post, E., Lewandowsky, S., Stirling, I., Balgopal, M., Amstrup, S.C., and Mann, M.E. 2017. 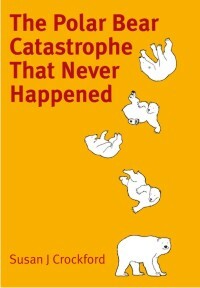 Internet blogs, polar bears, and climate-change denial by proxy. Bioscience. DOI: 10.1093/biosci/bix133 pdf here. Supplementary info here. 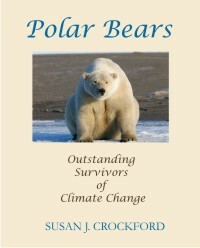 This entry was posted in Advocacy, Scientists hit back and tagged Amstrup, attribution, blogs, Churchill Polar Bears, Harvey, plagarism, Polar Bears International, science. Bookmark the permalink.